Welcome to the Cameo Cakes website! 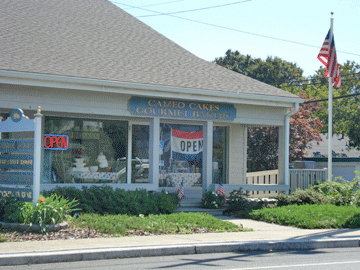 Cameo cakes, a gourmet bakery in Brielle, NJ has everything from cookies and pastries to specialty cakes! One of the services Cameo Cakes offers is custom ordering for special occasion cakes, such as weddings or birthday cakes. In addition, the shop also carries six-inch spares and eight-inch spares in a variety of flavors, such as carrot, mocha and more! Most custom detailing requires an appointment. © Cameo Cakes Bakery 2012. All Rights Reserved.